All startups / entrepeneurs / founders I mentor send out a mentor and investor update on a monthly basis, or more frequently. IMO a month is the maximum period between updates because, as you know, a lot happens at a startup in a month. Longer will either be a very (too) long email or the frequency wil drop even more with a “we will send one next month” attitude. If you’re working on your startup, you’re fully submerged, knowing every detail and you just go, go, go. But while you are trying to solve every problem you encounter you have mentors that could help you take shortcuts. The reason you have mentors is because they have experience and a network, put that to use! But your mentors (and investors) aren’t clairvoyant, they cant see what hurdle your trying to take today, because that can be a totally different one since the last time you had a mentor meeting. It is your task to feed them with that information. And you can ask them for a specific thing, like introductions or feedback on a iteration. Yes, they are, but good mentors make time to read and interact on mentor updates. I have a daily routine and reading / answering emails is in there, this include mentor emails. Good mentors are engaged with you. 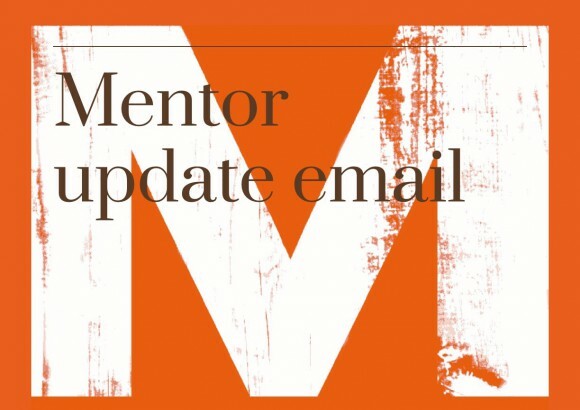 What’s in a mentor and investor email update? Depending on the stage your startup is in, your metrics can change, maybe you start with amount of daily active users and first booked revenue, but soon you will get to: MRR, CAC, Retention, Churn rate, LTV, ARPA, and many many more. The metrics also depends on the type of startup you have, a SaaS has different metrics compared to a hardware startup. And the update wil evolve over time, just like your startup. So find the metrics and subjects that are important for your startup, open een Mailchimp mailing list and template and a recuring reminder in your calender, but do it, you will see it will force you to stop and think about what you are doing this month. It can also set a peer presure (some founders need that) if you promise something to do before the next update (like talk to 100 people for customer development purposes and share the results) if you send an update out on a weekly basis. Yes 100 a month is way too low! Need a little help to get started? Here are some nice tips for an early stage startup. So, what are you waiting for? send out your update in an hour! Go on, I’ll wait….